the main characters are two male teens/pre-teens who do not get along but need to work together. They portal to another world where they are given a quest. They are given spears or rods that are unbreakable and food bowls in which any type of food can appear when they wish for it. One of the main characters tries to tame a wolf/wild dog towards the end. One chapter has the two boys running from place to place with torches trying to light things for a ritual. Upon completing the quest they humbly do not accept the monetary reward that is promised. 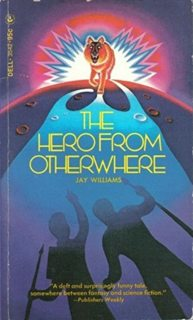 I think you might be looking for The Hero From Otherwhere by Jay Williams. SUMMARY: Two boys who are enemies at school find they must rely on each other when they are transported to a strange world parallel to the one on earth.